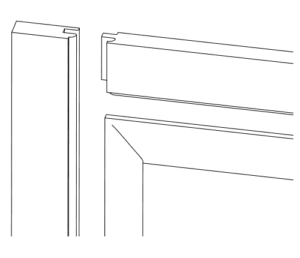 There are three basic types of construction for Keystone’s five-piece doors and drawer fronts. Any cope and stick or haunched door can also be made as a mitred door upon request. The most traditional construction type. Choose from available framing beads. 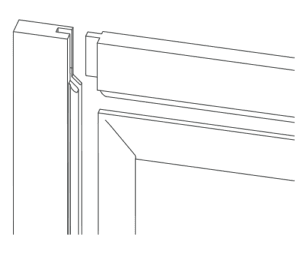 This construction type is used when the framing bead cannot be made using cope and stick construction. This is the most versatile construction type. The entire face of the rail/stile can be custom drawn and we will make it. 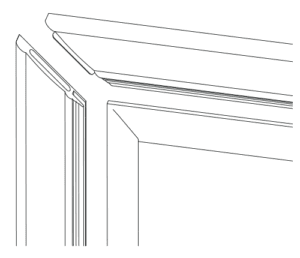 Minimum door and drawer front sizes vary depending on the widths of each item’s rails and stiles, as well as which panel raise you choose. 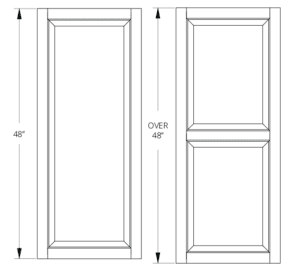 To calculate the minimum height and width of a door or drawer front, add the dimensions as shown in the drawing below (A + B + C + D + E). Doors have 2 1/4” rails and stiles. Drawer fronts have 1 1/2” rails and 2 1/4” stiles. 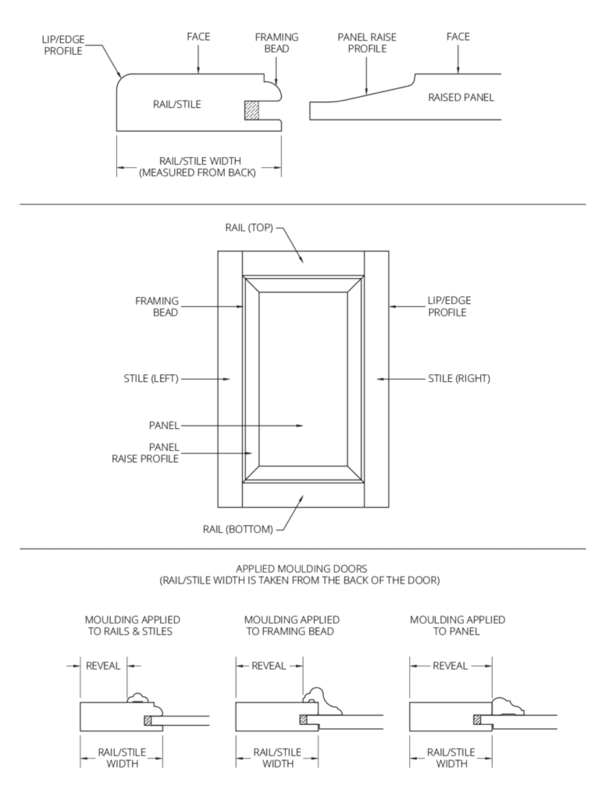 **Panel reveal and minimum flat dimensions for each panel type. Unless otherwise specified on your order, doors over 48” high will automatically get a center rail as shown. This is done for stability purposes. You may request no center rail. However, we do not recommend it, and the door will not be guaranteed against warping.